The iPad 5 and iPad mini 2 are expected to arrive at some point during fall and there have been numerous leaks over the last few months about both devices. A new report states that the new iPads as well as the iPhone 6 in 2014, all have the prospects of using sapphire crystal. Recently we looked at some upgrade hints for the iPad 5 and mini 2 taken from the arrival of the iPhone 5S, and seeing as the new premium iPhone has a fingerprint sensor it looks like a realistic proposition for the two new iPads. The iPhone 5S features laser cut sapphire crystal in its new home button that incorporates the fingerprint scanner, and the report claims Taiwanese sapphire makers have said that the new iPads will both feature sapphire crystal home buttons and adds that they will be launched in October. Further to this the report goes on to say that next year’s iPhone may see the use of sapphire expanded further so that it features in the touch screen cover as well as the home button. This news comes from Taiwanese-based DigiTimes, which we must point out has a rather mixed record when it comes to reliable Apple news. Nevertheless some of its reports do turn out to be accurate from time to time and interestingly we recently heard about an Apple patent regarding sapphire use. The patent regards a process that could add a layer of laminate to the glass covers and could be used in future iPhones, iPads and possibly the iWatch. Although it seemed too late for this possibility to come to the iPhone 5S, we suggested that it could certainly come to future iOS devices such as the iPhone 6. This latest report appears to make this even more of a possibility. The use of sapphire glass for the displays of iOS devices would not only strengthen them but would also make them more scratch-resistant. The one drawback is the expense, as this latest report also states that sapphire covers for the iPhone could cost up to five times that of standard covers. There’s also the possibility that the iPad 5 could come in 3 color options, and a rumored date of October 15 has been mentioned for the launch date of the new Apple tablets. However, this is unconfirmed at this point, but we hope to hear more on this soon. 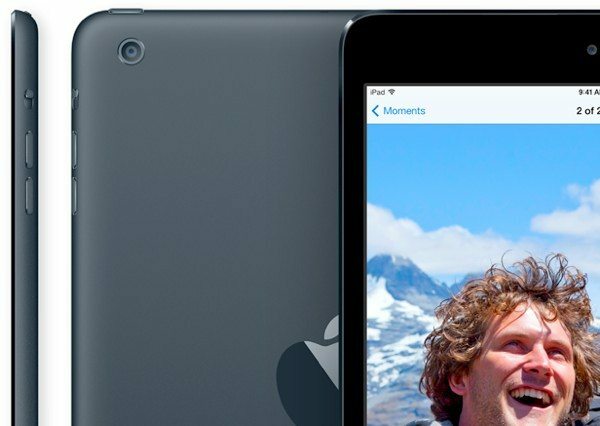 Are you waiting for the iPad 5 and iPad mini 2 to release? What are your thoughts about the extended use of sapphire to also include the touch screen covers for the iPhone 6 next year? We’re always interested to read your opinions, so please do send us your comments. Finally about to move on from my faithful old workhorse Pad 1. Holding out for the iPad 5. Hope it’s quad core with microSD slot and 13 megapixel camera. They could encase the whole thing in sapphire but nothing’s gonna hide that ugly iOS 7. I had fingerprint recognition on my iPaq 10 years ago. Worked brilliantly but a total waste of time as it offers no real advantage. I too have iPad 1 and holding out for the 5. It won’t be quad core or have multi screen or be dust and waterproof or have 13 megapixel camera! Wish Sony would release their xperia Z1 in tablet form!! !